As a ServerDeals Reseller, you are able to resell the infrastructure solutions we offer at the prices you want, determining your own profit margins and value added services to go with them. You act as provider for your customers, handling support requests that come in, billing, and the like. You get to decide if you even tell them that you’re partnered with us or if you prefer to portray yourself as your own IaaS provider. 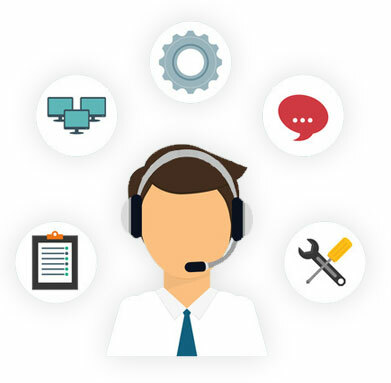 We’ll give you the tools needed to succeed – reseller discounts, priority support, API to interface with our platform, WHMCS module to empower your client area with features such as reboot, console access, rDNS control, and more – allowing you to become your own dedicated server company without the capex required to buy hardware and setup datacenters. All members of the ServerDeals Reseller Program receive these features, FREE! There are no extra costs involved. Attacks against infrastructure are growing in scale daily. We give you the ability to help protect your customers against these attacks. Our resellers’ customers can access the controls necessary in this industry: rDNS, power, suspensions, and more! Our leading discount program gives our resellers the price cuts they need in order to increase margins. We understand that you need extra time to determine if a customer is going to renew. Resellers have a 7 day grace period. If we’re running low on stock, our resellers always get priority on our inventory so they don’t lose a sale. We want to make sure that you get all the help you need to sell servers. We give you premium support for no added cost. How do I become a ServerDeals Reseller? 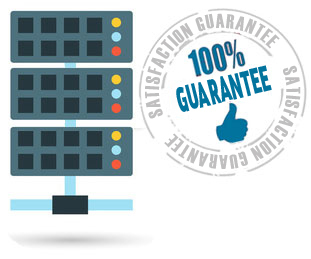 To become a ServerDeals reseller you just need to meet the requirements listed in the above tiers. For example, to become a Bronze Reseller you must have 2 or more active services with ServerDeals and then apply to the program. Once approved, your account will be upgraded to the Bronze tier. Then, you can take advantage of the deals and discounts exclusive to our resellers. What happens if I don’t meet the requirements for a certain tier anymore? If you were to no longer meet the requirements of a particular tier, your account would be downgraded to the tier below your current one. For example, if you were a Gold tier reseller and drop below the requirements your account would become a Silver reseller and the special deals and discounts for that tier would apply instead. What is the one time tier bonus? The one time tier bonus is a credit that is applied to your account. It is applied after your account has been in a certain reseller tier for 30 days. This credit is only applicable once. If you drop out of a tier and move back up, you will not receive the bonus again.